Here is a very high quality recording of four pieces of Ambrosian chant, two of which are particular to the Lenten season; once again, brought to my attention by our Milanese correspondent Nicola de’ Grandi. The first is an Ingressa, the Ambrosian Rite’s equivalent of the Introit, which is sung, however, without a psalm verse, doxology, or repetition; it is the first in a series of nine which are sung in rotation through the Sundays after Pentecost. The second piece is also an Ingressa, that of the Second Sunday of Lent, which in the Ambrosian tradition is called the Sunday of the Samaritan Woman. The third piece is one of two litanies which are sung in place of the Gloria on the Sundays of Lent, except Palm Sunday. (It should be noted that the Ambrosian Rite does not have an equivalent of the Roman Kyrie, but does add three Kyrie eleisons to the end of a great number of things, including this litany.) 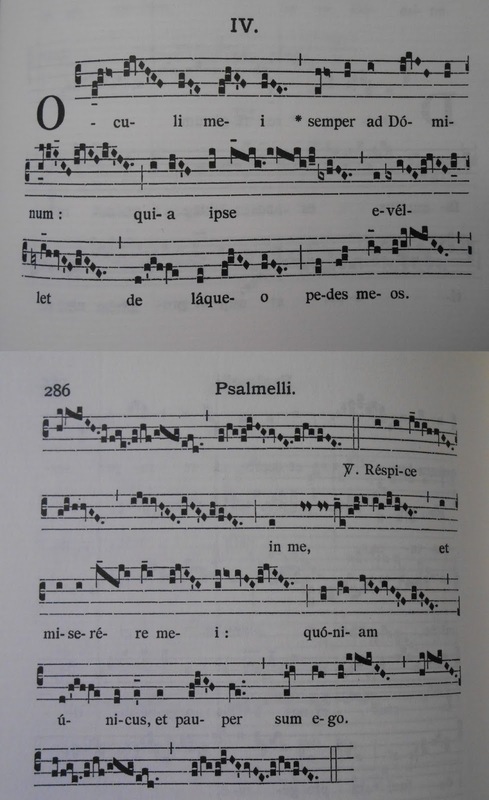 The recording gives the second of these two, known from its first words as Dicamus omnes, which is sung on the Second and Fourth Sundays; the other one is the famous Divinae Pacis, of which we have written several times, which is sung on the First, Third and Fifth Sundays. This recording omits the invocations from V to VIII; click the link above for the translation. Both of these are included in various editions of Cantus selecti, and might very well be used as bidding prayers in the modern Roman Rite. 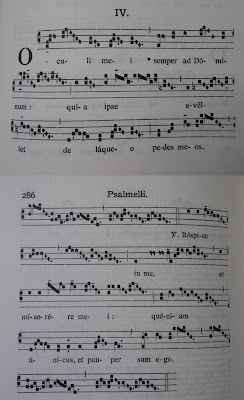 The 4th piece is Psalmellus, the equivalent of a Gradual; Oculi mei is the fourth in a series of nine, which are likewise sung in rotation through the Sundays after Pentecost.